As with any communications effort, the social media bottom line comes down to impact. Can you prove that the time, money and effort put into social media helped achieve your agency’s goals? In a world obsessed with big data, it’s tempting to track every detail simply because you can. With more data comes more confusion over what data is important enough be tracked and, just as essential, how to report that data in a way that facilitates decision making. 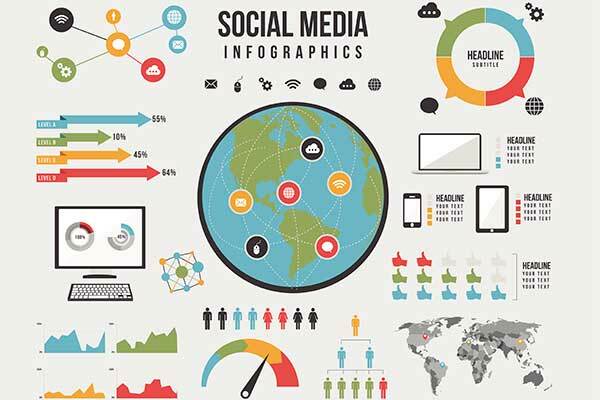 Fortunately, DigitalGov has already created the Federal Social Media Analytics Toolkit to provide guidance on what social media metrics should be tracked, and we’ve also offered tips for crafting report infographics. Let’s dive even deeper into this area. What happens after the data exports, tagging and Excel calculations are complete: how should social media managers report their findings to leadership? There is no one way to report, but after looking at over 20 government examples, I see four best practices. Reflect on your agency’s goals and challenges, both as a whole and for the communications and social media teams. Mine your spreadsheets for the information that will support those goals or address those challenges. Look for the data that will help you answer questions about agency stakeholders, evaluate a new campaign or assess a change in the social media process. Getting the right data is more important than fitting all the data into your report. Reporting on numbers of followers, engagement and reach isn’t meaningful if those numbers are not compared to what happened last month or even last year. Often, digging deeper into a few metrics can give you more insight into how your social media efforts are performing than casting a net as wide as possible. In a recent report for my agency, the data showed a drop in total engagements from April to May, but once I dug deeper to find out why, I saw that the engagement rate was actually higher in May and was above average when compared with the last seven months. So even though the social media posts in May resulted in less total engagement than in April, they were not low performing posts overall. Highlighting the changes in data, the oddities and the seemingly unexplainable can lead to a discussion about why those changes occurred. Don’t use long narrative explanations when a chart, graphic, table or list will do. But also don’t overload on charts; remember to select what’s most relevant. Add a glossary of terms, so you don’t have to define them every time. Many government agencies have staff that crunch numbers, whether they collect customer satisfaction information, conduct research, or analyze and evaluate programs. Consider sharing a draft of your report (or even your Excel calculations) with a data expert. Ask them if the way you analyzed the data is appropriate. Discuss the complexities involved in answering leadership questions about if a particular activity (such as using a call to action) really resulted in a change in audience behavior (such as more click-throughs). Use their experience organizing, analyzing and displaying data to your advantage. Social media reports should be honed in on the most relevant data, displayed with high-quality charts and graphics that illustrate trends, provide possible explanations for outliers and conclusions about impact, and be open to feedback. These practices will help you create reports that grab attention, answer critical questions and inspire new ideas, leading your agency forward. Katie Gresham is a Senior Communications Associate working with the National Institute of Justice.